There is more proof out that the Elk Grove Unified School District is top notch. Of the Elk Grove Unified School District’s 4,430 graduates, 1,749 class-of-2018 graduating seniors will receive a Golden State Seal Merit Diploma in Recognition of Outstanding Academic Achievements. The Golden State Seal is a unique gold-embossed insignia affixed to each qualifying student’s high school diploma. It is awarded to students who perform on a high academic scale based on grades and other assessments. Each spring, the Golden State Seal Merit Diploma is issued by the California Department of Education to deliver recognition to public school graduates who have proven a superior level of performance in academics based on Smarter Balanced Summative Assessments, course grades and other assessments from private providers. Students earning the Golden State Seal of Merit will also receive special recognition in the form of this official insignia on their transcripts, as well as a special letter and certificate of recognition personally signed by the superintendent congratulating them on their accomplishment. The community of Elk Grove is very lucky to have such an amazing school district. A school district oversees nearly all public funding and is frequently the focus of federal and state reform initiatives, such as instituting meaningful teacher evaluation systems, which affects a child’s education. If you are looking to buy a home in the Elk Grove community, make sure to ask your I Heart Elk Grove real estate agent about the Elk Grove Unified School District and how it stacks up against other neighborhoods. We promise you will like what you hear! When it comes to choosing a community to live in and a property to buy, the potential resale value of the property should be a major consideration, which is why the local school district is important to take into consideration. 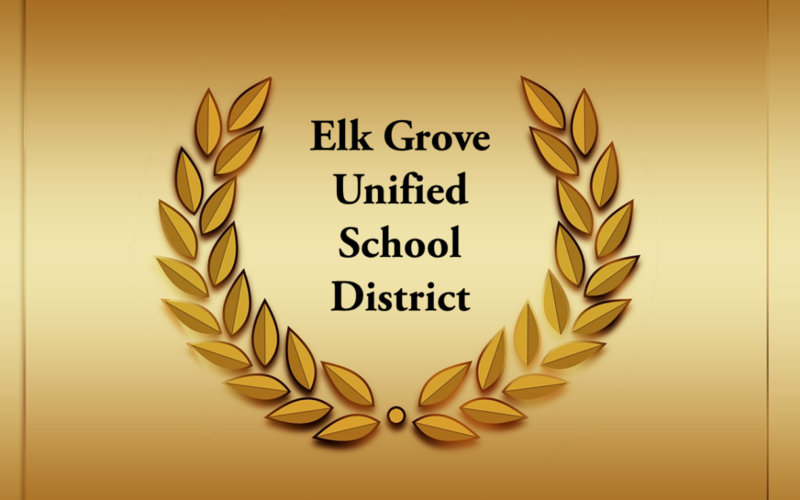 The Elk Grove Unified School District has displayed exceptional patterns of performance in terms of student achievement over the years, something the Elk Grove community is proud of.